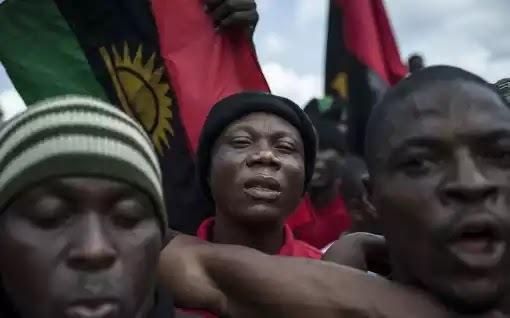 The Indigenous People of Biafra (IPOB) said yesterday that her resolve to boycott Anambra State governorship election on November 18 was in the overall interest of Ndigbo. Leader of IPOB in Enugu State, Cyprian Okoye, told journalists in Enugu that the group was resolute in the effort to achieve Biafra republic out of the present federation, stressing that it would not succumb to intimidation and threats from various quarters. Okoye, who also spoke on the sudden disappearance of one of the leaders of the group, Anthony Ejike Ochi, stated that they would deploy all in their ability to ascertain his whereabouts. Ochi, 34, married with two children, was said to have left his Lagos base three months ago to attend a meeting of the group in Enugu but allegedly did not get to the meeting or seen in Enugu. Meanwhile, the Federal Government has been urged to carefully and critically look into the agitation of IPOB and treat the matter with the right application of relevant laws without prejudice. General Secretary, Bible Society of Nigeria, Dr. Dare Ajiboye, who stated this during the opening ceremony of the 2017 Five-Day Marathon Bible Reading at Our Saviour’s Anglican Church, Jakande Estate, Oke-Afa, Isolo, Lagos, underscored the importance of Nigeria remaining as an entity. He said: “I believe that if a country has to be created, there should be a proper procedure to follow and where there is no law, there is no sin. “If anyone is violating the law of the land by agitating for something illegitimate, then the law should be allowed to take its course. “However, the government on its part should also do the right thing because if the agitation is based on neglect or denial of some rights, the government should do what is needful. If the agitation is as a result of the problem created by the government itself, then the government should not shy away from the truth but correct it self. “If the agitation, on the other way round, is based on self-interest, the government should allow the law to take its full course and anyone violating the law of the land should be dealt with accordingly,” he said.